With the Reversal format, each player brings a deck to the tournament which they believe is challenging to win with. Each round of the tournament, opponents temporarily swap decks for that match and try to win the round with the deck their opponent brought. The philosophy behind the Reversal format is that all decks are useful in some way. This variant provides a fun opportunity for a player to dust off their more challenging decks and give them some use in tournament play. You can register by responding to this post. Registration in advance is not required but is encouraged. Hayden M and Khoa L will run the tournament. The tournament winner receives 1 KeyForge deck. 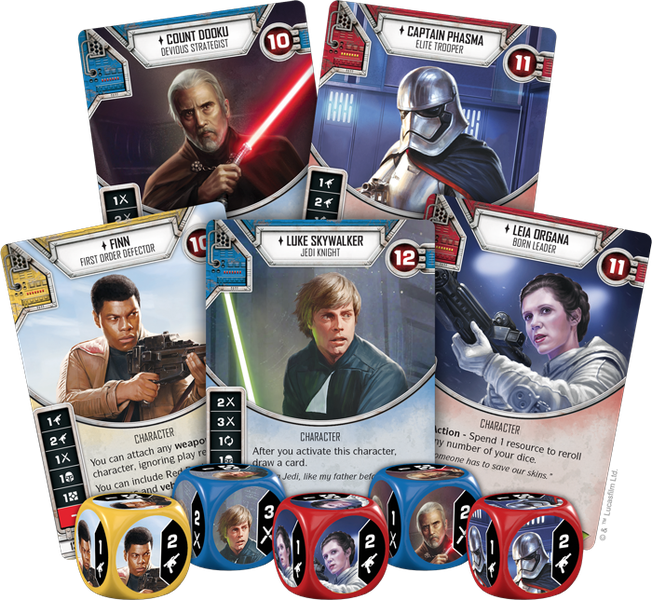 DETAILS: Star Wars: Destiny is a collectible dice and card game of battles between iconic heroes and villains that encompasses characters, locations, and themes from the entire Star Wars saga. In Star Wars: Destiny, two players engage in a fast-paced duel, each striving to eliminate the other's characters first. The game's innovative mechanisms combine dice-driven combat with faction-driven hand management. Straightforward rules make the game easy to learn, but also enable deep strategic thinking and clever deck-building. Players can create decks that include characters from every faction and any era, as long as heroes and villains are on opposite sides of the fight. Tyson C and other members of a Star Wars Destiny group that meets at the U of R are coming to Prairie Game Expo to demo the game to interested folks but also engage in duels. 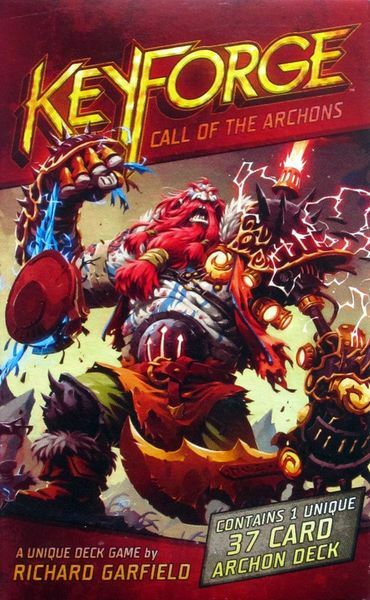 Spencer G, Jessica G, Shawn M, and Darrin B have all signed up for the KeyForge - Reversal Tournament. Jonathon L has signed up for the KeyForge - Reversal Tournament. DETAILS: The Final Fantasy Trading Card Game returns to Prairie Game eXpo! This card game is set in the Final Fantasy video game world. The Final Fantasy Trading Card Game was a 2018 Origins Awards Best Collectible Game Nominee. From 10am to 12pm, Jessica G and other Final Fantasy players will be engaging in casual duels, but also will be on hand to demo the game to interested Prairie Game eXpo attendees. Current players should bring their own deck. Jessica G will have spare decks for demo purposes. 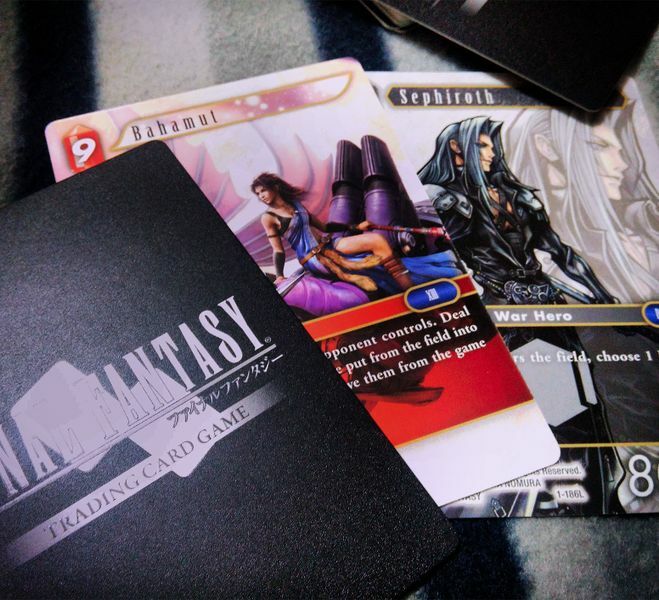 Exclusive promo cards will be given to players who play Final Fantasy trading card game at Prairie Game eXpo. Dreaming of the Future includes four 1-hour adventures that take the PCs into the asteroid field of the Diaspora and across the Pact Worlds of Aballon, Liavara and Verces. It's for levels 1 - 4. The Starfinder Society pursues the dream visions of a Liavaran dreamer, seeking information lost in a time before the Gap. Three broken fragments form the key to a forgotten repository of knowledge hidden within the Pact Worlds. It's up to the PCs to find these missing fragments and brave the dangerous reliquary to secure a new source of prescient knowledge for the Society.